A True story from my Book, Rescue the Stories book one. The year was 1931, and the old dimly lit ranch house belonging to my Grandparents welcomed into this world the first-born daughter, Hazel to my mother and father. 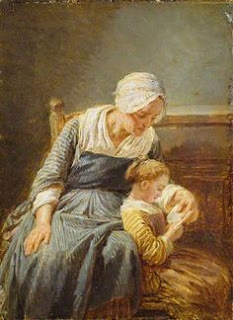 The attending nurse was able to stay, and instruct the new mother in all that was necessary to care for her new baby, but the hurried doctor was anxious to leave for a scheduled fishing trip. In his haste, he neglected to fill out the paper work for a birth certificate. Ultimately, the birth of the new baby was never documented at the county recorder’s office. A few years later, during World War II, each family was requested to report to their local grammar school to apply for food and gasoline ration books. 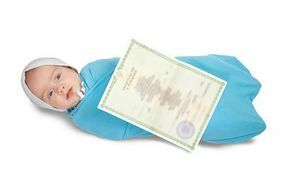 Proof that each person was a member of the household was verified by presentation of a legal birth certificate. Because she was the elder child, she was expected to take on more responsibility. This caused her to feel “put upon” and somehow, different from the other children. Her mother assured her that she was not adopted, and that steps were already being taken to prove that she was indeed a bona-fide member of the family. The doctor had since passed away, but the nurse was located. Her memories of the birth at the old farm house were clear, and she was willing to sign an affidavit of birth for the anxious parents. With that behind them, the paperwork was taken care of speedily, enabling each family member to obtain their ration books. As we reminisce about the importance of having our names subscribed to a recorded certificate-of-birth here on this earth, it is also of the utmost significance to understand the eternal magnitude of having our names written down in God’s book in heaven! Entrance into heaven is only as we are able to present to the gatekeeper, our Second Birth Certificate. Some call it being Born-Again, which is an excellent term for receiving Jesus into our heart. If you have not already done so, it is essential that you do so today! Jesus stands at your heart’s door and is knocking for entrance. The door of your heart is opened by a decision and can be voice activated. Just speak with your mouth and invite him in. Revelations 3:20 Behold, I stand at the door, and knock: if any man hears my voice, and opens the door, I will come in to him, and will dine with him, and he with me. It's funny how the little things can end up being the biggest of things, especially to a child. But it's amazing how some things like that help shape our world view. I'm with you. It doesn't matter so much about being accounted for down here, only in the heavenly realms of our Father! The ultimate birth certificate, being born again and the benefits start right away lasting into eternity. How precious!